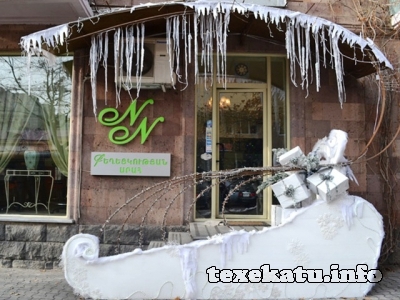 Address: Armenia 0002 Yerevan, Kentron, 16 Saryan str. “NN” beauty salon has opened the doors since 2001. Recently, it has introduced the customers new rooms, which are equipped with modern technologies. Upscale hair stylists, make-up artists and manicure specialists offer their services here.rnManicure salon carries out various procedures of nail extension with acryl and gel, different image patterns on them, hardware dry manicure and pedicure. This salon uses paraffin for hands care. All the tools are constantly sterilized with special means.rnAt this beauty salon you can make use of damaged hair repair service, which is conducted through the means of phytogenic origin. Our experienced hairdressers will help you to be even more presentable and attractive during everyday meetings or special occasions.rnThe makeup artist of “NN” offers facial and body bio epilation, tattoos, casual, scene and evening makeup.rnThis beauty salon presents flowers to female customers on March 8 and April 7. Loyal visitors have discounts on their birthdays.